No time to write. Too busy fending off a sore throat, dodging raindrops, fixing supports, getting in those last few plants, weeding, etc. before the papers come in and grades are due. 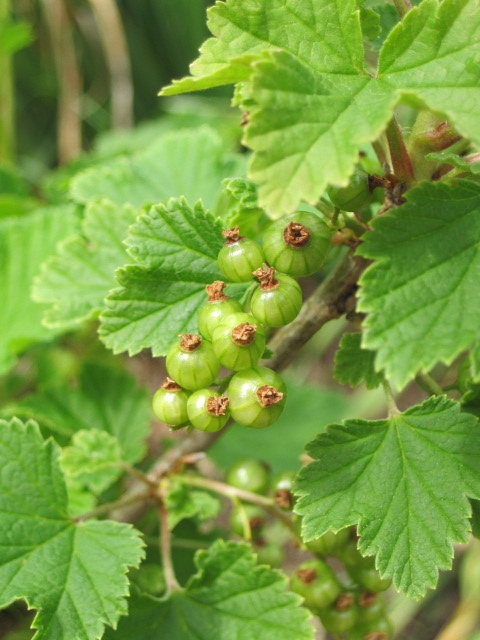 Enjoy this photo of my currant bush. I do wonder why one bush is full of berries, and the other (about 3-4 feet away) doesn’t have any. Weren’t they the same cultivar? They don’t look alike. Uh oh. Neither will I complain about this, my pretty, the first crop of the year. 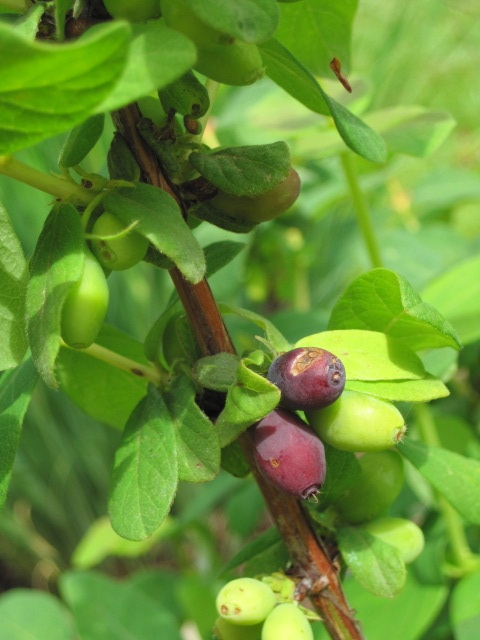 The haskap berries are ripening! Not sure why I shot the only berry that was damaged, but you get the picture. Pretty soon I will have enough to make jam, hopefully before I leave. The ripe berries look like elongated blueberries and taste tart and sweet, like a cross between a cranberry and a raspberry, or maybe a slightly unripe loganberry. I managed to withhold buying blueberries (yet again) and some rather promising, if not exactly upright as advertised, huckleberries. My tayberries are also yearning to break free; I actually have berries the size of my pinky tip. They might be even earlier than the black caps. Can’t wait for jam season, for summer to be here. Enough with this rain, already! I finally planted the dozen peppers I bought (mostly from Jeff’s Garden of Eaton, and absolutely worth the trip out River Road) a couple of weeks ago. The soil’s not quite built up enough in the front bed, so I had to dig clay out and fill the holes with better soil. Not too much fun in the rain. 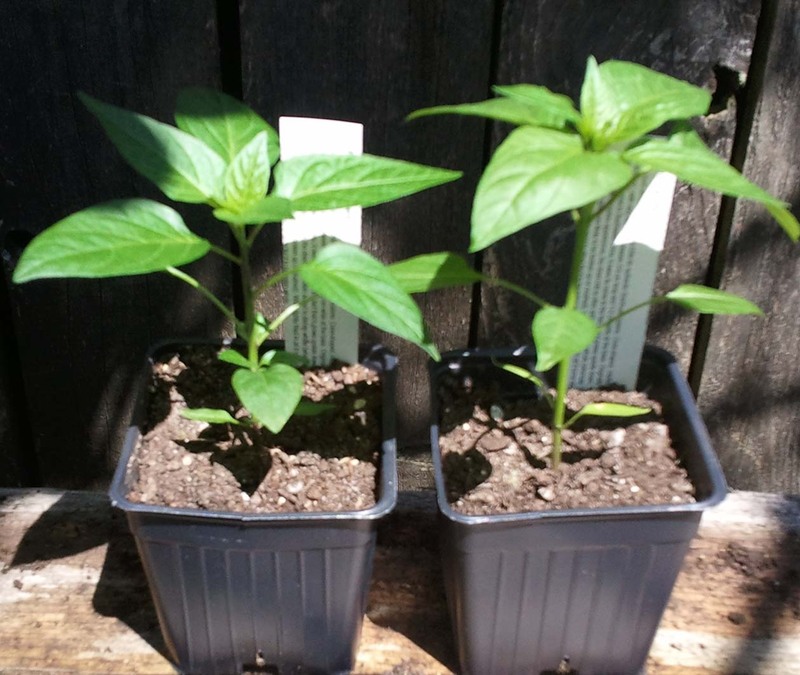 But the peppers are large and beautiful, and I was able to score the same Hungarian varieties that did well last year, plus a number of new ones, including a Turkish pepper and an Ethiopian berebere. 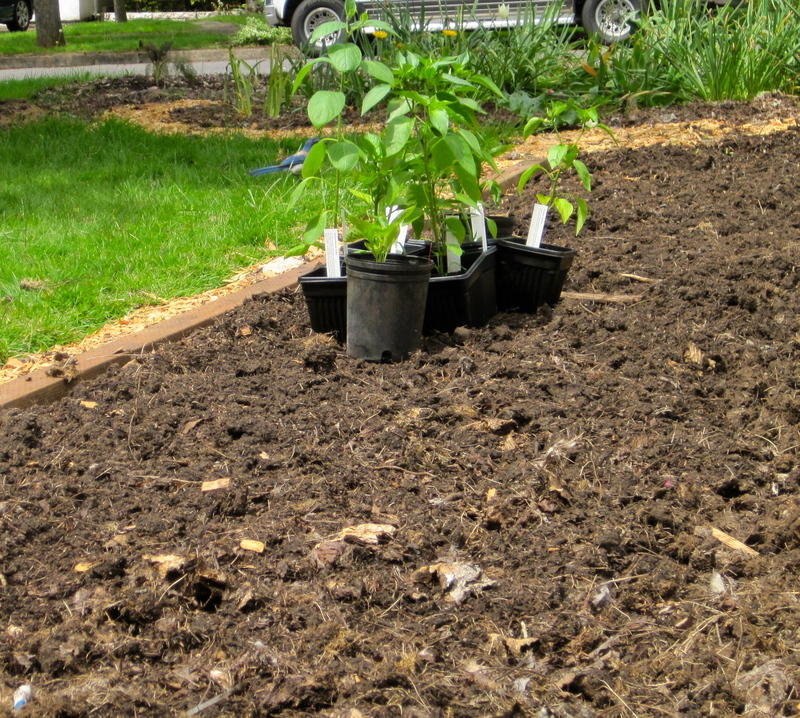 Here are the varieties I’ve planted for 2011. What are you planting? Capsicum annuum. Originally from Curico, Chile. Very heavy set of 3½” long fruits on large 3′ plants. Waxy fruits ripen light green to yellow to reddish-orange. Excellent spicy citrus flavor is best when immature, great for salsa. 90 days from transplant. HOT. Capsicum annuum. 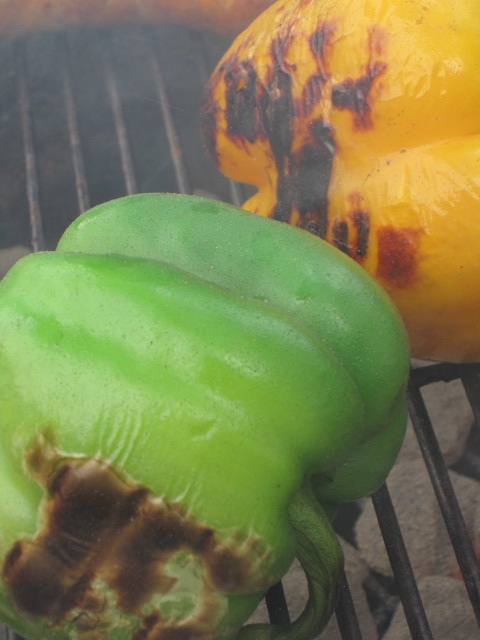 When fresh and still green, these mildly hot, heart-shaped peppers are stuffed and made into chiles rellenos. When mature they are dark, rust red, richly flavored, and often dried and ground into chili powder. Peppers become 4 inches long, tapering to a blunt point. Wrinkled skin takes on even more character when dried. May be strung into long ropes or made into wreaths. 76 to 80 days. Capsicum annuum. Medium size plant produces good yields of 3-5″ long by 0.75″-1″ wide medium heat with thick flash uprihgt fruits, ripen from green to coffee brown. Origin: Ethiopia. Capsicum annuum. Unique, black-colored fruit that are the shape of a Jalapeno. They are mildly hot and have a delicious flavor. The tall plants have beautiful purple flowers. Rare and colorful! 75 days. Capsicum annuum. This prized and very expensive chile is, like the related chilhuacle amarillo, grown commercially only in southern Mexico. Shiny, dark, mahogany in color, and shaped like a miniature bell pepper or almost heart shaped. Measures about 2 to 3 inches long and the same across at the shoulders. One of the most flavorful of all chiles, it has a deep, intense fruit flavor, with tones of dried plum, tobacco, and licorice, and a subtle, spicy heat. Used to make the black mole sauces that are a specialty of the Oaxaca region. Capsicum annuum. An essential chile for authentic Szechuan cuisine. Cone-shaped, medium-hot chili pepper with very thin skin, between 3 and 6 centimeters in length, and 1 to 2 centimeters in diameter at the base. Originally from Sichuan province in Southwest China, it owes its name to the fact that it grows upside down. When lightly fried in oil it turns radiant red and loses enough of its heat to allow for it to be eaten whole. 70 days. A gorgeous, golden variation of the quintessential, sweet Italian frying pepper. 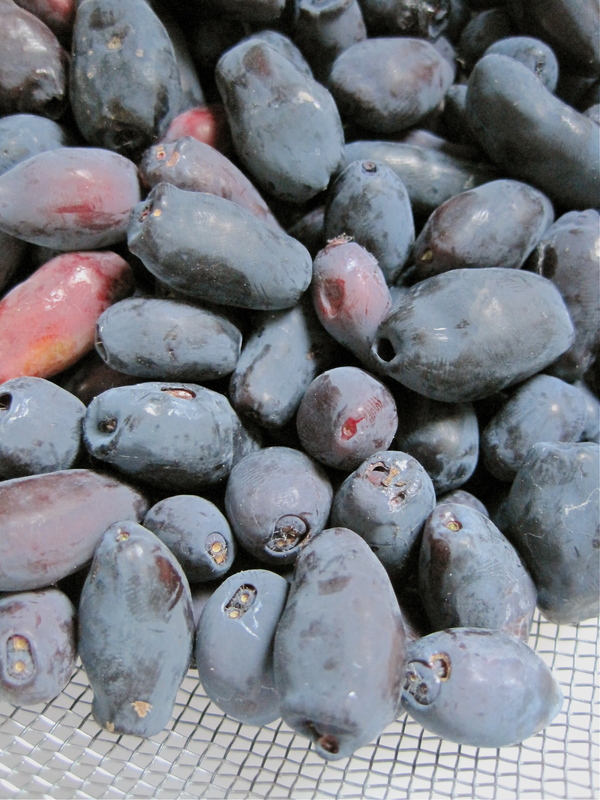 Long, tapered, smooth-skinned fruit are sweet and tasty with relatively few seeds. Fruits remain golden even at full maturity and are superb fried or raw. Large, vigorous plants. Capsicum annuum. Originally from Hungary, this wedge-shaped sweet pepper starts out white then deepens to orange and red when fully ripe. Pendant fruit is about 4-1/2 inches long with thick, sweet flesh, and is produced in great abundance, even when weather is cooler or conditions are less than ideal. 75 days. Capsicum pubescens. Black seeds, purple blooms & “hairy” plant are unique to this species (Capsicum pubescens). Rocotos grow in the Andean cloud forest and can live for many years if protected from hard frosts.The thick-fleshed 2-3″ pods resemble apples, are very hot but have a delicious flavor reminiscent of apricots. Uses include salsas, hot sauce, chutneys and rellenos. Can be dried or smoked. Capsicum annuum. Another sweet paprika pepper from Hungary. Red, tapered fruits. Capsicum annuum. The traditional pepper of Tunisia. Large red, tapering pods have a wonderful hot flavor, but tend to get more mild with cooking. An essential ingredient in harissa sauce. Delicious flavor that is perfect with couscous, and other wonderful North African dishes. Need. Green. This dish is transitional, perfectly balanced between the two seasons vying for control over the PNW. Darkness or light? Stay tuned, dear farmers. The new potatoes were roasted at a temperature higher than I usually choose, 425 degrees, which is really too hot unless you intervene in some way. This is did by adding just a ladleful of chicken stock with my usual olive oil and herb slick to the potatoes just before I popped them into the oven. Then I forgot about them, so they roasted longer than usual, steaming then caramelizing with the stock. 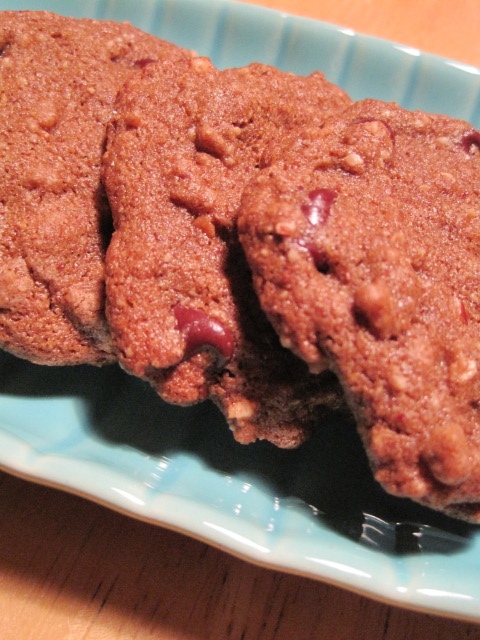 They emerged as chocolate brown, perfectly roasted, tiny little things. The dressing was a salad, really. 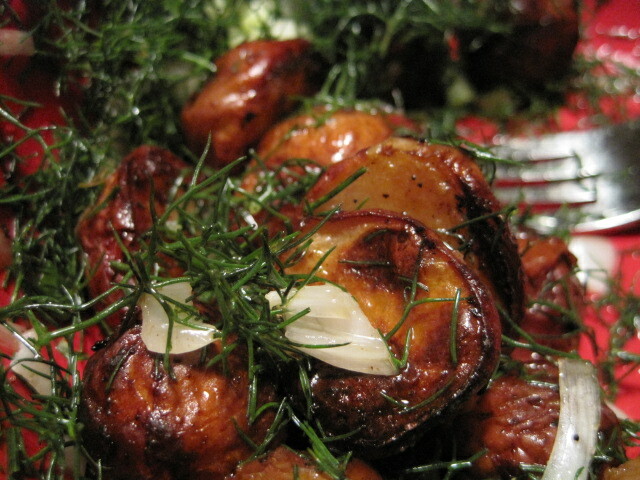 In my garden, I had thinned out some shallots and a fennel stalk that was in the way, so I chopped them up together and tossed them with the potatoes, just out of the oven. 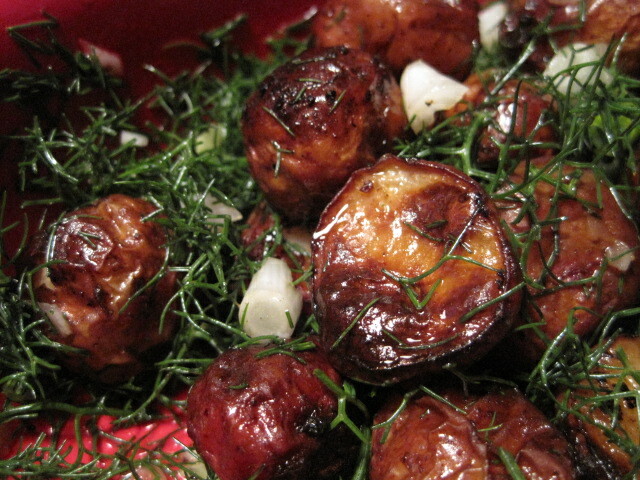 Dressed with a bit of olive oil and tarragon vinegar, they were just the thing for this still-tentative spring. What shall I put in the hole that I dig is a question for the ages. This 1963 children’s classic by Eleanor Thompson offers a series of questions about what things can be planted and turned into trees. But forget the whole appleseed/apple tree nature learning crap. Too many possibilities for a teasing big sister: What shall I put in the hole that I dig? If I put my sister in, will it grow into a weirdo tree? Etc. So if I haven’t called you back or graded your paper yet, this is what’s been on my mind. Yes, spring fever has hit! Digging holes and putting things in them will be on the minds of all Eugenius gardeners this weekend. Finish weeding. I assume you already have your soil amended and most of your weeding under control, but if not, you’ll want to do this soon before the last of the rain goes away. Once we get that last shower, the clay soil bakes the weed roots in, often in just a matter of a few days. To help, consider Grandpa’s Weeder. This standing weeder has been recommended to me by several people (0ver similar products, too). They might have them back in stock at Down to Earth now, or will be shortly. Get ghetto. Those empty plastic bags from compost/soil/mulch are great to put on the ground so your knees don’t get wet and muddy. I find them much better than the scrawny little pads, since there’s more room to move around on the bags, and they can accommodate, um, more generous knees. Get some ideas about how to improve your chicken coop TODAY! May 21 is the annual Tour de Coop — buy your guides to the self-guided tour of local chicken coops at The Eugene Backyard Farmer. Check out this link from NW Edible Life for creative pea and bean trellises in operation in Seattle. Call in to the Master Gardeners of Lane County Extension. The hotline is up and running, and the new office handles walk-ins. Ask weed, bug, and disease questions, what to plant, and how to fix what’s gone wrong at 783 Grant Street, between Garfield and Chambers. Hours of operation: Monday-Thursday, 10 a.m.-1 p.m. and 2-5 p.m. Master Gardener Hotline: 541-344-0265. Subscribe to our Extension Agent Ross Penhallegon’s “Garden Hints” group on Facebook for up-to-the-minute advice on what and when to plant in Lane County. It’s almost like a telegraphic weather service, noting upcoming forecasts and how various South Valley crops are doing. Get this man on Twitter! Log House Plants‘ grafted vegetables, selections of which are available at Jerry’s and that bookstore in Cottage Grove whose name I am forgetting. Wonderful, fragile heirlooms grafted onto hearty stock for admittedly high prices, but it’s worth a try at least a plant or two in this miserable (so far) season. Jeff’s Garden of Eaton‘s amazing selection of tomatoes, hot and sweet peppers, and winter squash. I went out to his place yesterday and picked up a dozen or so peppers, mostly Hungarian varieties that we can’t find anywhere else, but also some Sichuan ‘Facing Heaven’ pepper plants — peppers I’ve been searching for ALL OVER THE WORLD — and the peppers they use to make Ethiopian berebere spice and Turkish harissa. The photo above is one Jeff sent me last week of my Facing Heavens as they were growing at his place. It was like one of those adoption agencies where you get photos of the darling baby or puppy that will one day soon be yours. Come home to mama! Jeff’s plants are available at the The Hideaway Bakery Farmer’s Market (the Other Saturday Farmer’s Market), which is located behind Mazzi’s Restaurant on East Amazon in South Eugene from 9-2 p.m., and at his home in Santa Clara (2650 Summer Lane off River Road — look for the giant greenhouse in front!) most days from noon to 6 p.m. through June. Lonesome Whistle beans, available at the downtown Farmer’s Market on Saturdays. It’s perfectly fine to plant dried beans now. Just sprout them under a wet paper towel for a couple of days first. Or just say forget it and go down to Marché Provisions for a bottle of dry rosé, spring’s hottest drink, to drink on your weedy, unplanted patio. Wine buyer Ryan Dawe-Stotz is a rosé fanatic, so he’s a great resource for consultation. I had my first glass yesterday, so take notice, winter, it’s all over for you. We’ve been eating copious amounts of salad. When lettuce gets tiring, and it soon does, consider a spring vegetable chopped salad. 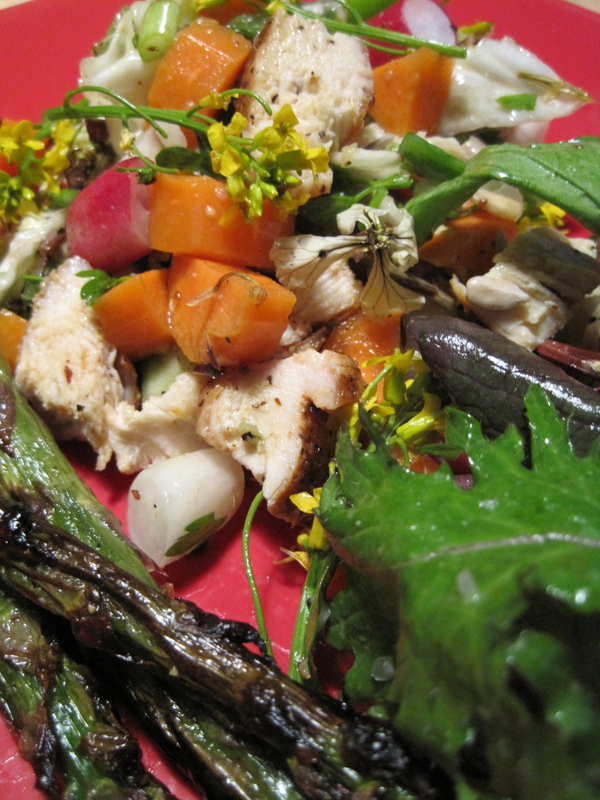 This one is grilled chicken, breakfast radishes, carrots, garlic chives, two kinds of arugula flowers, and parsley. Toss with any salad dressing — ours was a tarragon vinaigrette. And an asparagus chaser. 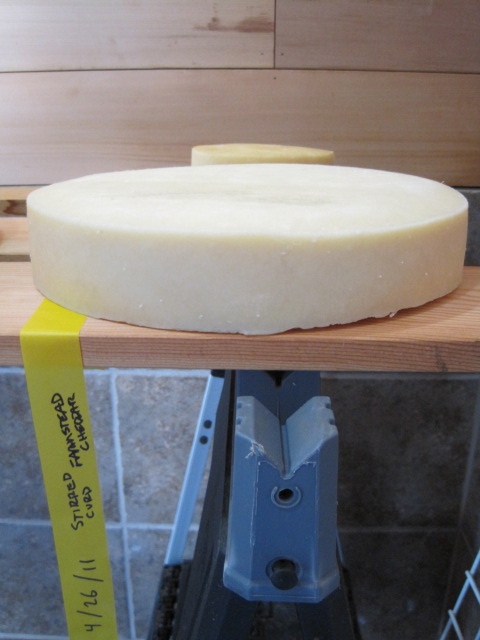 My charcuterer friend Del has started making farmstead cheese for Paul and his crew at Laughing Stock Farm in the rolling hills south of Eugene. It’s only for their consumption, alas, because of regulations about raw milk and related issues relative to cheese making. 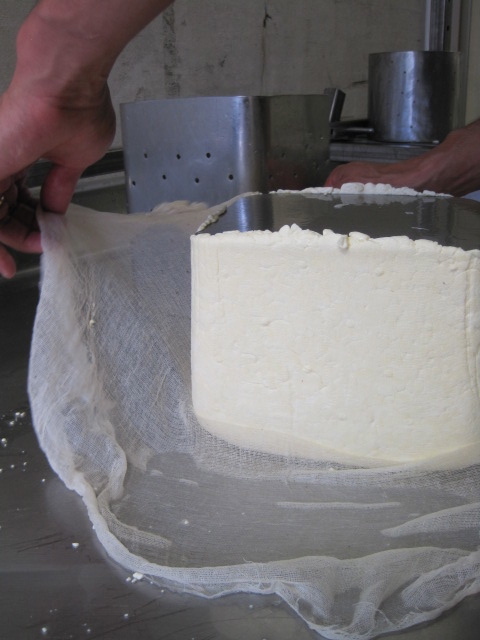 But the dairy production by the farm and neighbors, plus the commercial grade equipment and facilities that Paul already has in place from many years of goat cheese making provides awesome materials to play with for culinary mad geniuses like Del. 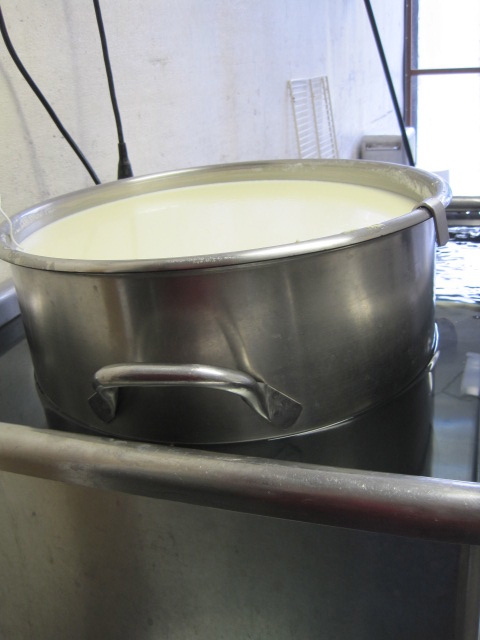 We started the day with over a hundred pounds of fresh cow milk from a neighboring farm and freshly distilled rennet. 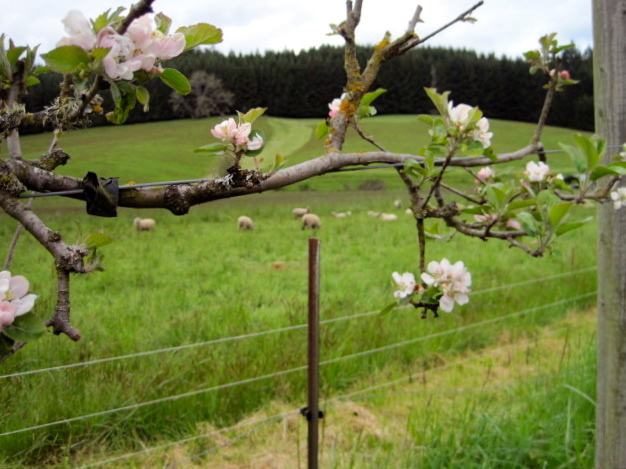 Sheep gamboled among apple blossoms. Curious barn cats eyed our wares. Pigs squealed in the barns, eager for whey. A herd of goats came passing by our trailer, fresh from milking. Chickens laid eggs ’til it hurt. A neighbor came by to discuss gathering herbs for herbal tonic, the dregs of a pilsner batch, and canning tuna. A venerable basset hound kept court over the entire proceedings. In short, it was just another day at the farm. 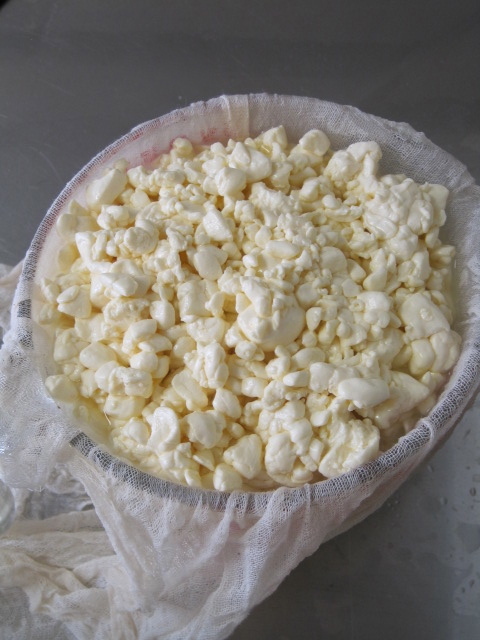 Making cheese is fascinating, and I hope to have many opportunities to hone my own skills this summer, if Del will have me back. I’ve taken a few cheesemaking classes with the Extension Master Food Preservers, and even taught cheese demos (reminding one of the old professor joke: read it? I haven’t even taught it!) but my knowledge is very limited and largely text-based. So why not test it out with a giant stockpot filled to the rim with milk in an ingenious hot water bath that uses a pump and immersible heating element to keep the milk at temperature? Gouda enough for me. 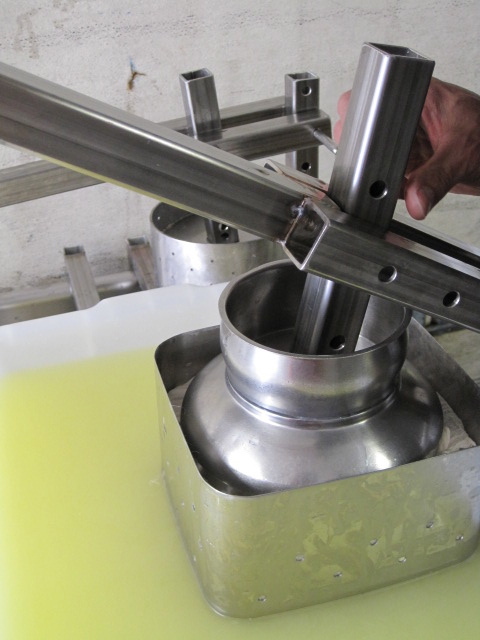 Once the curds and whey were separated and the curds condensed into those squeaky little nuggets that are so fun to eat, Del set to pressing the curds into molds with an industrial strength metal press. It’s an amazing device made out of stainless steel bars and a clamp. I had seen smaller versions, much smaller versions, but this was for the big boys. Before, the stuff of Miss Muffet’s dreams. After the first press. The cheese is flipped over and returned to the mold, where it is pressed again, then salted and cured in Del’s lovely cheese and sausage cave. Can’t wait to taste the results!